Pastel color 11 pt. stock file folders. 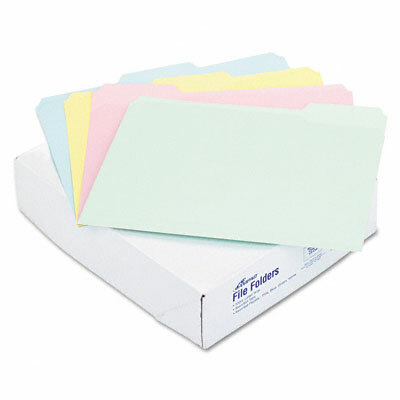 Pastel color file folders add a fresh, soothing touch to busy offices. 11 pt. stock. Letter size; 1/3 cut tabs in assorted positions. Blue, green, pink and yellow.